When you have a luxury vehicle, you will be even more worried when something goes wrong. If you lost the keys to your Lexus, you may be in a panic state. We understand how important it is that you get back into your car and on the road. That is why we can arrive at your location within 20 minutes, and then we can get started on the process of creating a replacement key for your Lexus. Whether your vehicle has a transponder key, or another type of smart key, our expert locksmiths will know how to get a replacement made. At Door N Key Locksmith, we have experience with all types of car keys. We have helped many customers who needed a replacement key for their Lexus. We had them back on the road in no time flat. Give us a call the moment you realize you have lost your keys, and we will be over there within 20 minutes. Our mobile vans allow us to help customers on-site, as all the equipment needed to create a replacement key is located in the van. 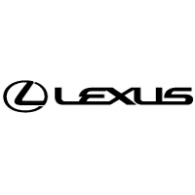 Before you know it, you will have a brand new Lexus key, and you can be on your way!